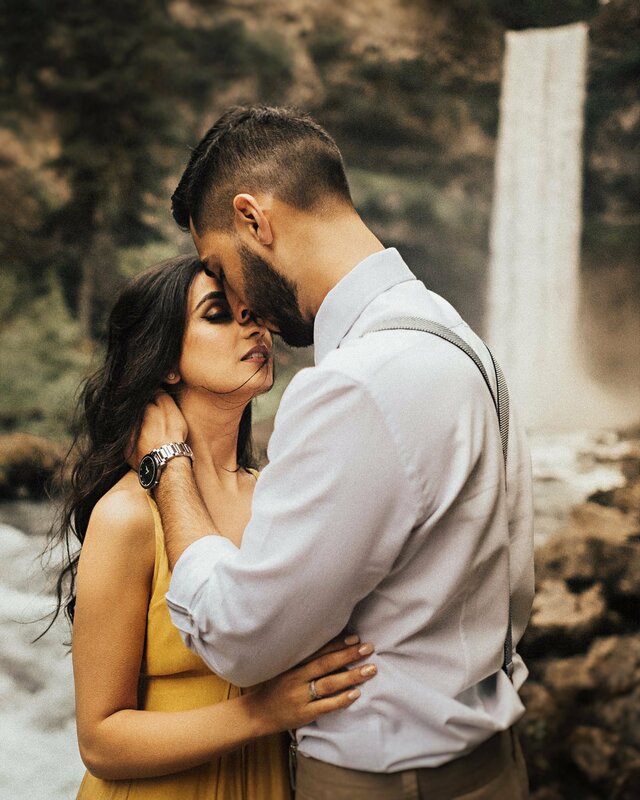 We have never worked with a more adventurous couple than Pawan and Gurbir. We’re talking hiking down steep muddy paths on the edge of cliffs with nothing to hold onto, and then clinging to trees repelling downhill through a forest to a waterfall. And they did the whole thing without complaining once! 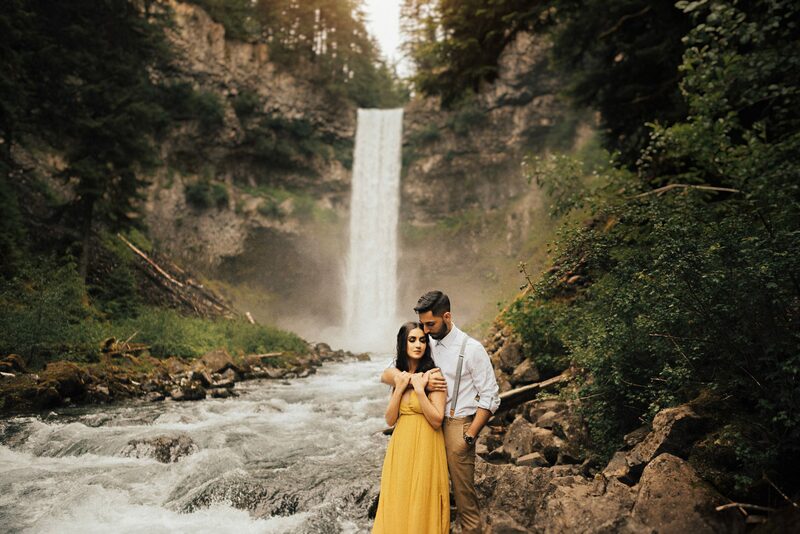 It was a difficult and long hike to the bottom of Brandywine Falls in Squamish, and we were completely soaked by the end of it, but it was SO worth it! We love when our couples are open to being adventurous and not afraid to get a little dirty. We’re excited to photograph Pawan and Gurbir again for their Indian wedding ceremony and reception in June!